Grab all of your receipts and go to the biggest flat surface you can find. Usually the kitchen table works Ill.
from savings accounts, money markets and other funds. from the sale of stock, real estate or other investments. received from mutual funds and corporate securities. paid on your home mortgage or second home. including insurance premiums and other medical and dental co-pays or deductibles. including the name, address and tax identification number of the child-care provider. including receipts for donations-in-kind and letters from the organization acknowledging contributions over $250. and personal property tax receipts. such as tuition, books, lab fees and student loan interest. (travel, classes to improve your job skills, job-related moving expenses, etc.). (union or professional dues, employment agency fees, tax preparation fees.) Yes! I are Deductible! Now take your records and one-by-one place them around the table in their respective categories. If you have cancelled checks, you may also place them in the proper place. If your bank doesn't return checks, go through your check register and write the deductible amounts, check #, and date on the piece of paper that lists the category name. Finally, add the amount in each category. 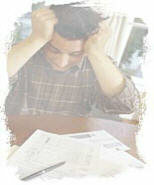 Be sure to use an adding machine since math errors are one of the most common mistakes in doing taxes. You've done the hard part! And it really didn't take all that long. Now you're ready to take all of your records to your tax preparer. While the process is still fresh in your mind, get started on your next year's taxes. For each category that you used get a large envelope or file folder and label it with the category name. As your receipts come in, place them in the respective envelope rather than the box. When tax time comes around next year, all you'll have to do is add up the receipts in each envelope. For the great majority of you, this is all you need. 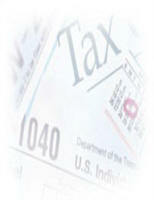 For some of you, your taxes are more complex and you will probably want to contact me.